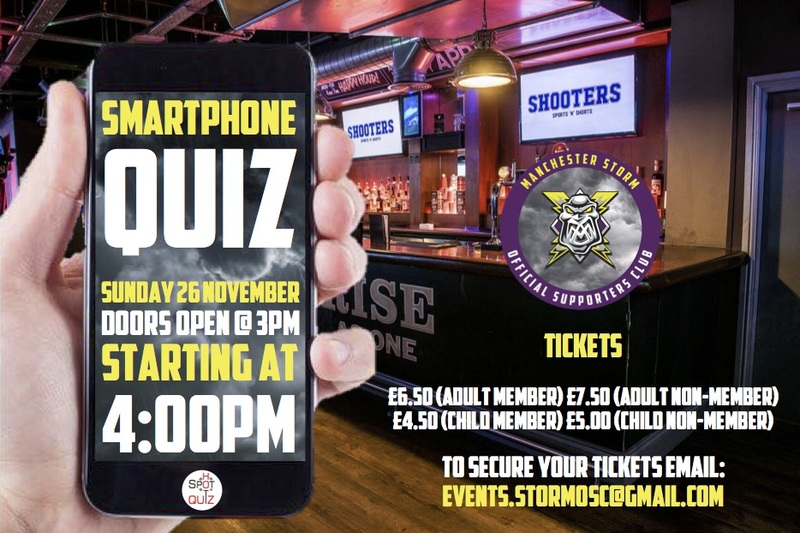 The Manchester Storm OSC are excited to announce that our next event will be the hugely popular ‘Smart Quiz’ hosted by Dave Bradley of Hotspot Quiz! All the Players and Finner will be in attendance and will be allocated to Teams to see who will reign victorious this season. DONT FORGET – this is a Smart Quiz so please make sure you bring a tablet/smartphone with you and download the ‘SpeedQuizzing – Virtual Buzzer’ App for iOS/Android in advance to play! Once the quiz has finished you are more than welcome to remain in the bar and celebrate your win (or drown your sorrows! 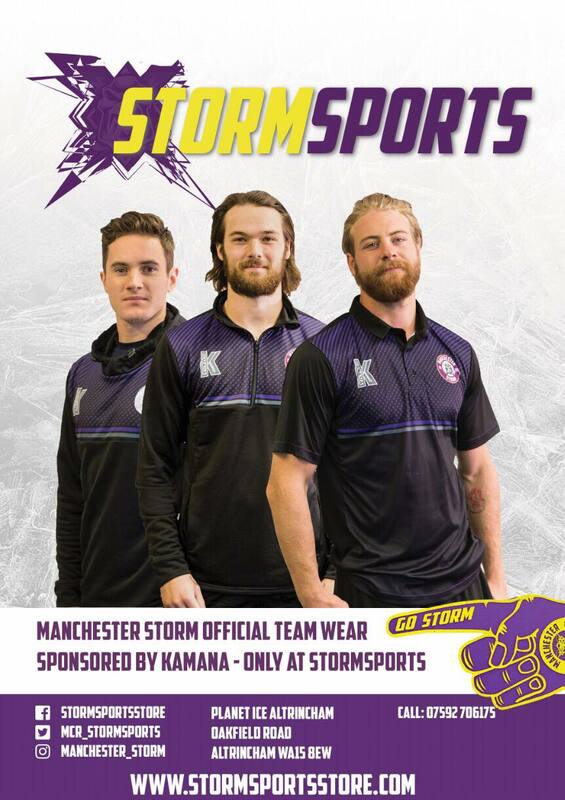 ), or catch up with fellow Storm fans! There are also plenty of bar games to enjoy at Shooters if you wish to stay into the evening. Tickets will be £6.50 (Member) and £7.50 (Non-Member) for adults and £4.50 (Member) and £5.00 (Non-Member) per child (16 and under). To secure your tickets email [email protected]! Please state on your email how many tickets you require, and whether you are members/non-members by quoting your OSC Membership number. We are really excited to be working with The Manchester Bierkeller, and offering events from a City Centre location! This promises to be another exciting evening and the entire MSOSC Team extends a warm welcome to you and hope to see as many of you as possible! #DoubleHeader details revealed THIS Friday!